Do you ever watch a home improvement show on TV and think, “How do they remodel rooms so quickly?” While these shows have teams of workers and a lot of money to spend, you’d be surprised to find that their timeline actually isn’t impossible to match. Traditional, extreme bathroom renovations are costly and require a lot of time, but if you’re looking for a quick bathroom makeover, it can actually be done in as little as a weekend! But before you get going, it’s important to plan ahead and figure out what’s most important to you in regards to changing your space. To give you some ideas, here are five tips to help plan your quick bathroom remodel in a weekend. The first step to any remodel – whether it be over two days or two months – is to set a realistic budget for yourself, because it can help keep you from going overboard on spending. Keep in mind, the more expensive, the more time-consuming it will probably be. If you don’t have a lot of time to devote to your bathroom, only choose the most budget-friendly renovations. Realistically speaking, you won’t be able to change everything about your bathroom in a weekend. However, if all you need is just a few easy bathroom upgrades, two days is a realistic goal. Decide on whether you want to change several small things, like the wall color, mirrors and faucets, or one big thing, like upgrading your bathtub or toilet, and build a checklist from there. Our modern, easy-to-install products like our toilets and mirrors are great additions to any list and can help make the process go faster. Creating a timeline will help keep everything in order and let you know when you need to have things done. You should plan ahead for at least a couple of weeks, that way you have everything worked out in advance. During the day of, be prepared to work around the clock, starting bright and early in the morning and going all the way until the late evening. If you spend around 10 or 11 hours a day on your bathroom, you should have more than enough time to get everything checked off on your list. 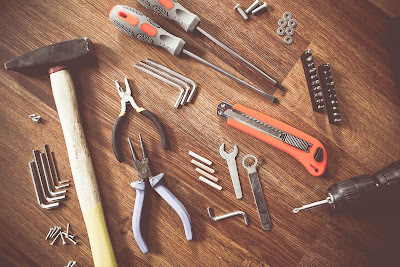 Unless you’re a DIY expert, chances are you’ll need some help. Whether you enlist assistance from your family, friends, or a professional, make sure you plan out the exact times you need them so they can show up to help! Choose reliable people that you know you can count on, because if somebody doesn’t show up or comes late, it can affect the entire day and leave you way behind on schedule. No matter how much you plan, things always seem to go wrong, especially when it comes to renovating! Instead of panicking about your limited time, take a deep breath and remember that bumps will always appear in the road. No matter what the problem is, whether a part isn’t working, your paint spilled, your friends cancelled or something else happened to halt your plans, realize that there are other weekends in the month. Stay focused and complete all that you can, because some changes are better than no changes! Once you have everything planned out, you should be ready to begin your quick bathroom renovation! Put your planning to good use with these quick, cost-efficient ways to upgrade your bathroom that you can find here. After that, comment below to tell us about your personal bathroom renovation experiences and if you’ve tried to do it in a weekend! I read your post and got it quit informative. Please share more like that to know the best tips for our bathroom renovation. If you are also searching for shower renovations then visit geniebathsystems.com. Hi, Thanks for the sharing such an informative article about The Beauty of Transitional Bathroom Vanities. I have been thinking to decorate my bathroom. Already bookmark this site for future reference. Keep up with good work. hot tub puncture repair kit Thank you for your blog.Really thank you! Awesome.